The NBA Finals is now tied and heading back to Oakland for Game 7 after Cleveland won Game 6 in dominating fashion. The big story coming out of the game is how Stephen Curry lost his cool down the stretch, fouling out and then getting ejected when he threw his mouthpiece and hit a fan. 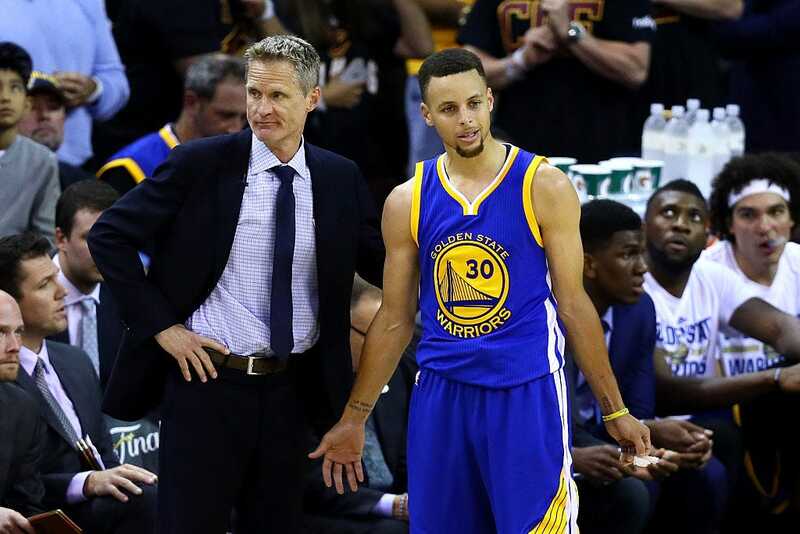 After the game, Warriors head coach Steve Kerr was asked about Curry losing his composure. Kerr then ripped into the officiating for calling touch fouls in the NBA Finals on the league MVP. Kerr was then asked if he was OK with Curry throwing his mouthpiece. Kerr didn’t hesitate, completely condoning the move. It is unclear if Kerr knew at the time of these comments that the mouthpiece hit a fan. Here is the play where Curry threw his mouthpiece. At this point, Kerr is likely willing to take any fine the NBA is going to hand down for his criticism of the officiating. But at the same time, he probably feels the need to send a message to the league office to explain Curry’s actions and to let them know that they weren’t unprovoked. Still, a player can’t be losing his cool and hitting fans with thrown objects. If this wasn’t the league MVP and Game 7 on the line, it is probably an automatic suspension. But considering what is at stake, it will be interesting to see how this is handled.